In completion of this program, teen participants will have gained the knowledge and tools necessary to confidently and successfully pursue their career in the music industry as musicians, performers, managers, and producers. Teen participants will learn hands-on how to perform publicly at gigs, brand themselves as musicians, record at a studio, and work as professional musicians! 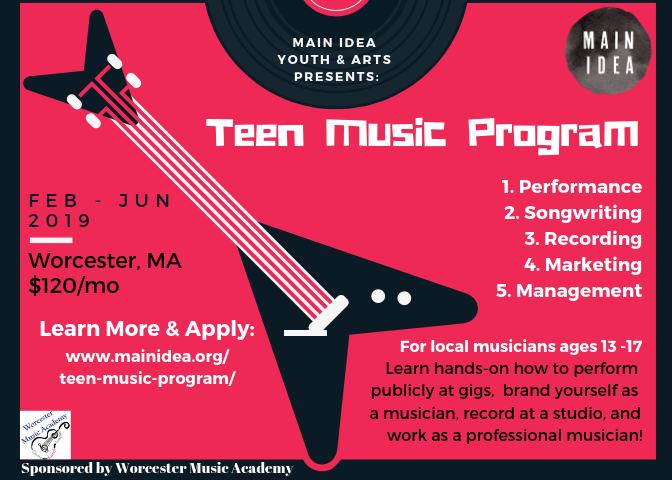 Apply today at www.mainidea.org/teen-music-program.